The Story of Stuff Project is building a campaign to fight back against Nestlé's exploitation of public water worldwide. With your help we can amplify the voices of communities on the frontline of this fight, and force Nestlé to clean up its business. To underline the significance of this opportunity, Dr. Bronner's has generously agreed to match the first $25,000 in donations for this project. That means that if you give today, your donation will be doubled! Any contribution amount helps us produce media to increase the public pressure on Nestlé. Contributions of $100 or more will be recognized with a producer credit on our website. By talking to concerned citizens all over the world, we've learned a lot about how Nestlé operates. The company has interfered with local politics, aggressively tried to elect Nestlé friendly officials to change zoning laws, and even attempted to bribe townships with “community development funds” and donations of…yup, bottled water! But while the communities fighting Nestlé on the ground are all too familiar with these tactics, there is a world full of Nestlé consumers who are unaware they’re supporting these bad practices. By telling this story, we can bring unprecedented visibility to these local struggles, and harness the power of public opinion -- and our Community -- to curb Nestlé’s unethical business practices. Now with your help, we can make the holidays in the communities fighting Nestlé a little brighter by showing them that people around the world care about their story. 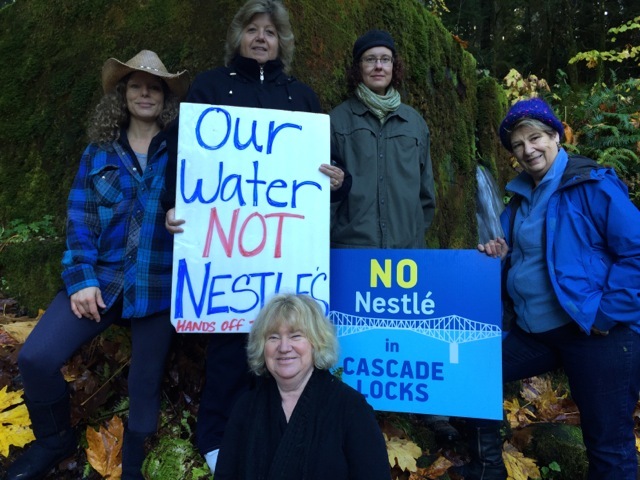 With our support they can win in the fight to protect their public water against Nestlé, and inspire more people to get involved worldwide. Please contribute today - together we can protect our water, and our public lands, for generations to come. Help us produce more movies to hold Nestlé accountable!